When it comes to anime in the Fate franchise, this was one I knew the least about going in. I hadn’t read the light novels that this anime was adapted from so this was very much a fresh experience. It was a chance to look at a different conflict. While this one involved a Holy Grail War, the scale was certainly bigger. I wouldn’t say that this is my favorite Fate-related anime, but it held up as a good series overall. 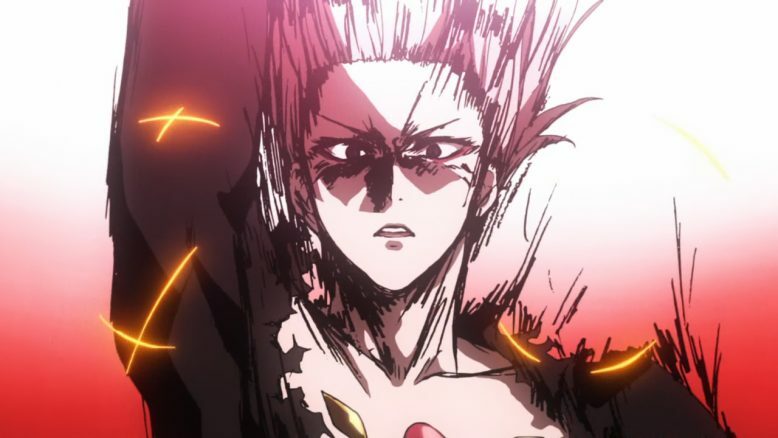 When it comes to bringing together a large group of mythological or historical heroes together to fight in a large war, this show delivered that. While I wasn’t necessarily interested in the main character, there were enough likable members of the cast to keep my attention from start to finish. A clear point that needs to be made is that this is very much its own story. This isn’t a series about the familiar Fate/Stay Night cast. The regular Saber isn’t, Emiya Shirou isn’t there, and this is very much a new group of characters. 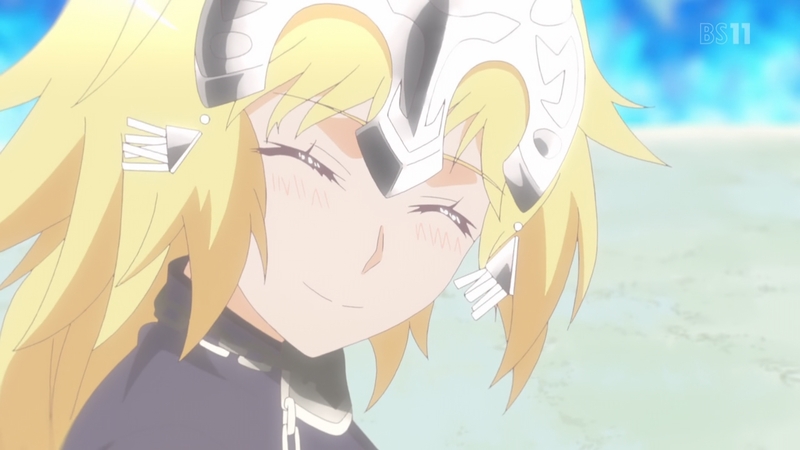 Although the show does fit into that universe, just an alternate one where the Greater Grail was stolen during an earlier Holy Grail War. The setting itself is different than the norm with this war taking place in a different country and city than the usual Fuyuki setting. 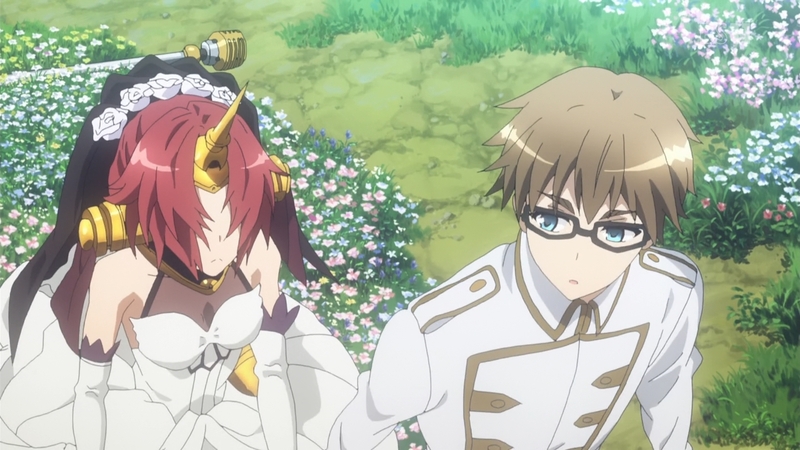 In terms of the story this show focuses on a fresh conflict, but one that still revolves around a cast of characters wanting to gain the Holy Grail and grant their wishes. What differentiates this show from the others in the franchise is that this is a Great Holy Grail War. Instead of the usual group of 7 servants/masters fighting for the win, this one is more of a team affair. The focus being for 2 groups of 7 to clash and then have a single war within the victorious team. This means at the start of the show they have 14 servants…well sort of. 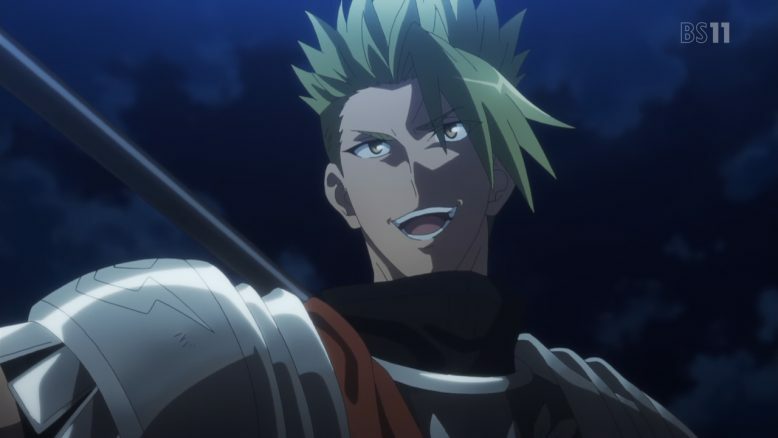 This show also introduces new concepts such as the Ruler Class; A servant that is basically acting like a judge and trying to keep both sides following the rules of the grail war. And of course nothing goes exactly as planned and the show is very much about the various characters dealing with the complicated and unpredictable factors at play. You can feel that this is a light novel adaptation. There are very definite arcs in this Great Holy Grail War. I really enjoyed the early going with how it set the table and left a lot of uncertainties. You could get the feeling of how certain characters were up to something, but not exactly what their end game was. All the pieces were still on the chessboard in terms of the servant count which allowed for some interesting clashes and conflicts. The first huge clash in the story was also pretty entertaining both in terms of the action and the character confrontations. Now I didn’t get quite as pulled into the middle of the story with some odd decisions made by some characters and the lead kind of taking a larger part of the spotlight; which in this case wasn’t that good since I didn’t care much for him. I will say that the last part of the show does actually pick up. We get some pretty good battles. The show is allowed to go all in and wrap up the character arcs. There’s no need to keep characters from actually fighting to the death. 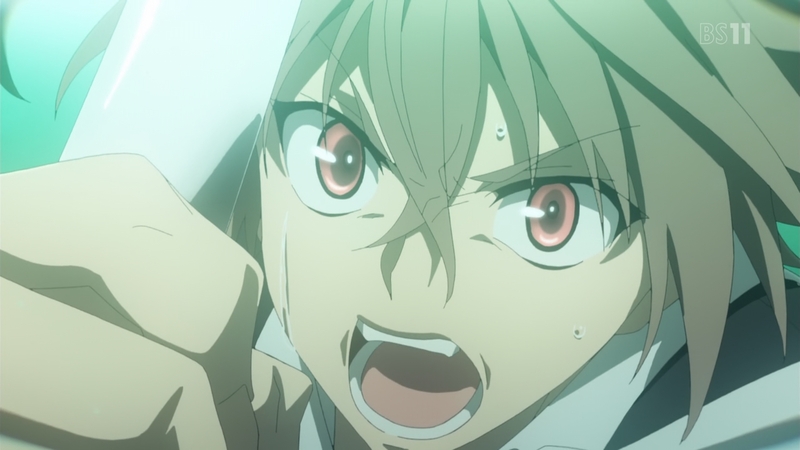 A strong factor for the Fate series is that the servants are somewhat temporary existences and it is in their nature to get killed as the story goes along. I do think a fair amount of characters do get solid last moments and fairly conclude their arcs. While I wouldn’t say the story blew me away, it was a factor in the show that kept me watching. Now there are definitely a lot of characters that were part of this show. That is as one would expect from a war that involves no less than 14 servants alone. So I can’t really go through a massive character breakdown. I will say that there were characters I quite enjoyed in this show. The servants and masters were split into red and black factions, which does allow for talking about some things without spoiling anything. The show really did have some strong personalities. 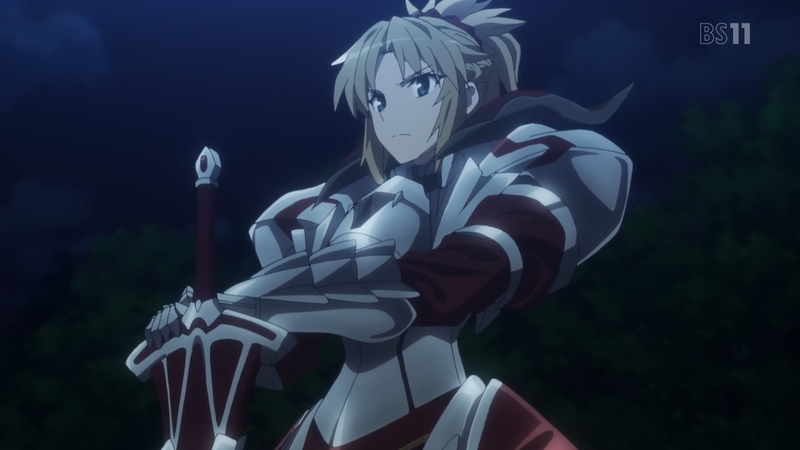 One good thing for the Fate series is that they don’t downplay the extraordinary qualities of these heroic spirits. Both the Red and Black Riders were pretty entertaining individuals. I really gained some respect for the Red Rider near the end of the show. Some good moments with the character and took him from an entertaining person to a pretty cool one. The Red Saber was certainly a good character and I can understand people really liking that person. 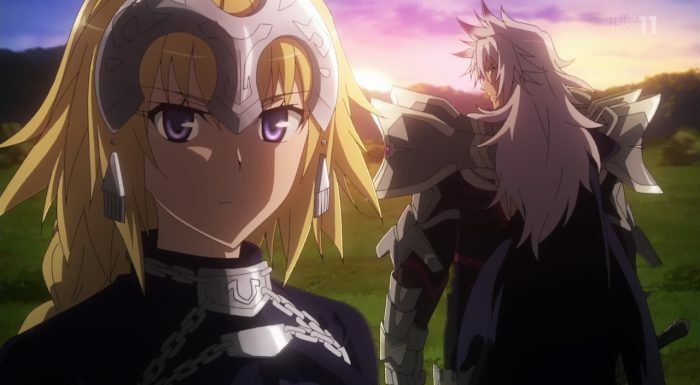 Both that Saber and Master pairing was easily my favorite duo of the show. They worked well off each other and I often wanted to just see more of them. While both Assassin characters had their strengths, I think the Black Assassin was the scarier one. That person was just plain dangerous and seemed to find a childish sort enjoyment in their actions. There was a main pair in this show and as a whole I liked the two of them. While the main character didn’t grab me for a lot of the show, by the end I did respect him. I feel it was part of the character’s core identity that kept me from getting too attached to him. The character had growing to do and was at times a bit bland. But by the end of the show I found him decent. The Ruler character played a pretty important part of the events going on in this show. While she didn’t run away with the title of my favorite character in the show, I did like her. Ruler wasn’t a character that overhyped herself and in a lot of ways was too hard on herself. While others might want to beautify up her accomplishments in life, she has a more grounded view of her actions. She got some pretty nice moments and often had to make choices that others would have hesitated about. A few stumbles along the way during the show, but overall a good major character. One thing that I didn’t think about when watching the show is an issue that still stuck with me after it was over. One of the major antagonists has an objective, but I don’t feel the show itself adequately delves into their motivations for that objective. We get some flashes and information, but not a full picture. There is a lot going on so that didn’t really impact my viewing experience, but it is something that kind of sticks with me after. Part of the issue may simply be as an adaptation some things can’t be fit into the episode count. But I still feel like a more significant flashback would have been nice considering the importance of what this character is trying to do. Now maybe the show doesn’t need to explicitly state everything. But I still would have liked a bit more on that front. I think as a whole A-1 did a solid job. 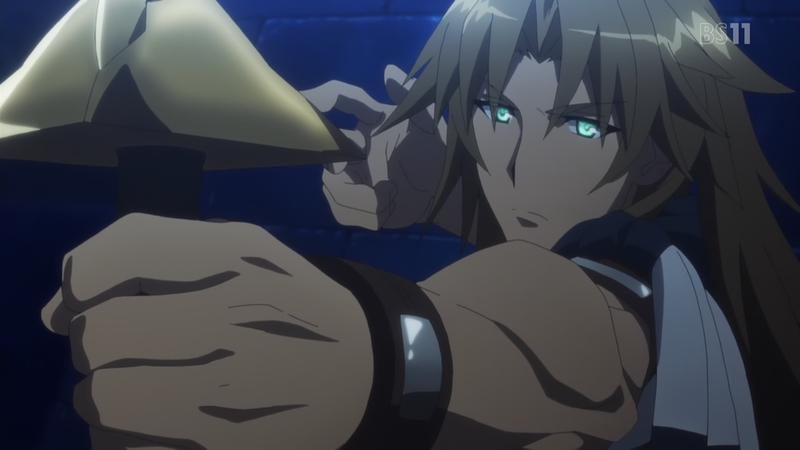 It’s kind of hard to stand out as the best looking Fate show when you have a couple series done by ufotable. In terms of the non-action scenes I thought the characters and setting looked nice. Not a bad looking show in general. Some highs and lows, but it certainly wasn’t an ugly show. The action scenes sometimes could look a bit rough. Although dealing with supernatural entities, I can see having to try and make their movements extreme enough to match. 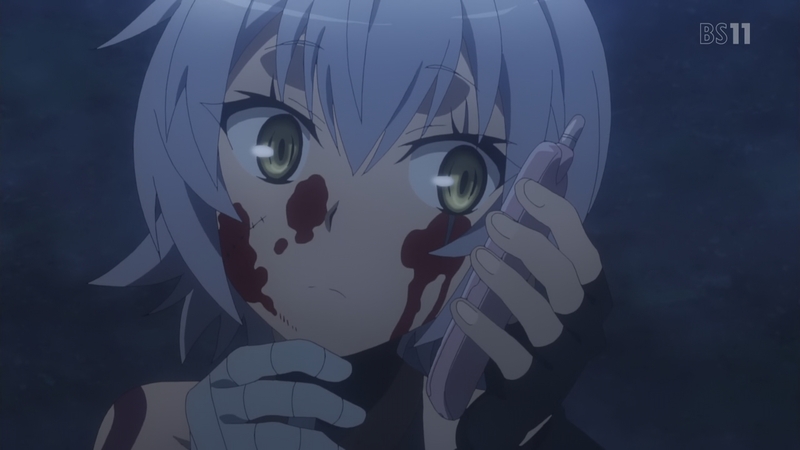 I will say that the bigger action scenes of the show did stand out. While part of it might have been the story side of things, I’d say they made sure the important parts left an impression. The music was satisfactory. I liked some of the themes such as the one for the Red Saber. Overall the music fit in with the scenes and fit in nicely with the fights. The voice acting seemed pretty on point and I liked the choices made with the various characters. Of course I didn’t have any sort of expectation for the voice choices due to a lack of familiarity with the source material in this case so that probably made it easy to accept everyone. In terms of the OP/EDs for the show, I liked the second opening song a bit more than the first, but both were alright. On the other hand I liked the first ED a bit more than the second, but it wasn’t as if the second one was bad. In a lot of ways I’d call this show an enjoyable ride. The action was pretty good, the story was solid, and there were a fair number of likable characters in a pretty large cast. It was a self-contained story that is complete and doesn’t require any additional seasons. So it is an easy recommendation if people want a bit of action or have interest in some of the other Fate related properties. While this show doesn’t have a lot of direct connections to characters we are familiar with, it does fit within that franchise. But one positive about being such a separate story is that you don’t need to know anything from those other series to jump into this one and enjoy the ride. There were points in the middle or second half that made me a bit less excited about the show, but the ending arc really picked that up. I can’t judge this as an adaptation, but I can imagine a lot of little details were dropped just for the need of keeping the story moving along. But even without a lot of those details, I still enjoyed what was happening on the screen. It wasn’t a legendary story or the greatest fights in anime history, but it was good. The show built up pretty nicely in the early going and overall I think it ended pretty well. It let a lot of characters have a moment to shine and demonstrate what they were all about. I’d say writing this review allowed me to put this show in perspective. It had a good start so I picked it up for blogging during the Summer Season. And the show continually gave me something to talk about from the action to the characters. It wasn’t a perfect show and some weak points does keep it from being a great show in my mind. But it still rises above being average and into a good show. It is worth checking out if you have some interest.